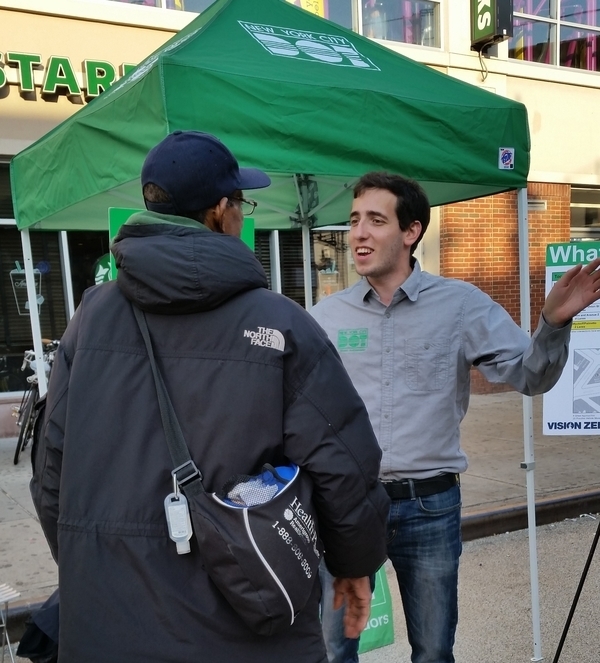 Thanks for coming out and speaking to the Street Ambassadors in the Myrtle/Wyckoff Plaza on Tuesday, November 2nd from 1 PM to 7 PM. Around 50 people spoke to us and gave us their opinions about the plaza. If you didn't get a chance to speak to the Ambassadors, don't worry! They will be going out again in early December to speak to residents and those passing by about the plaza. Stay tuned to see what dates they will be in the plaza! If you don't think you'll be able to make it out to the plaza, but would still like to give feedback, please follow the link below that can take you to a survey about Myrtle/Wyckoff Plaza! It should only take 2 to 3 minutes to complete.